Kundalini Yoga and Sound Healing have supported me very deeply on my path and it would be my absolute honour and privilege to share the skills and experience i have to help bring you more balance, health, peace, inner strength, love and trust into your life. I am a Kundalini Yoga Teacher, Intern Teacher Trainer, Sacred Sound Healer, singer and gong healer. 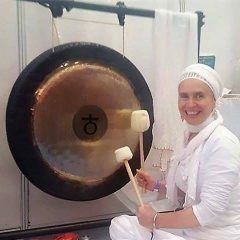 I offer regular classes in kundalini yoga, provide gong trainings, workshops, retreats, one to one healing sessions and Kirtan evenings. I work in Dorset and Somerset, but also travel with my work. I also offer skype Kundalini Yoga one to one sessions, which means i can support you wherever you live.